Moving in together, buying a house together, becoming a family: there are certain situations in life’s relationships that can feel more like a trial. However well you may know or love a person, that bond is inevitably tested during these forays into unknown territory. Partners strive to share responsibilities and burdens as they try to evenly distribute hope and anxieties about the future between themselves. But a little uncertainty is expected. Fear is an integral part of change. 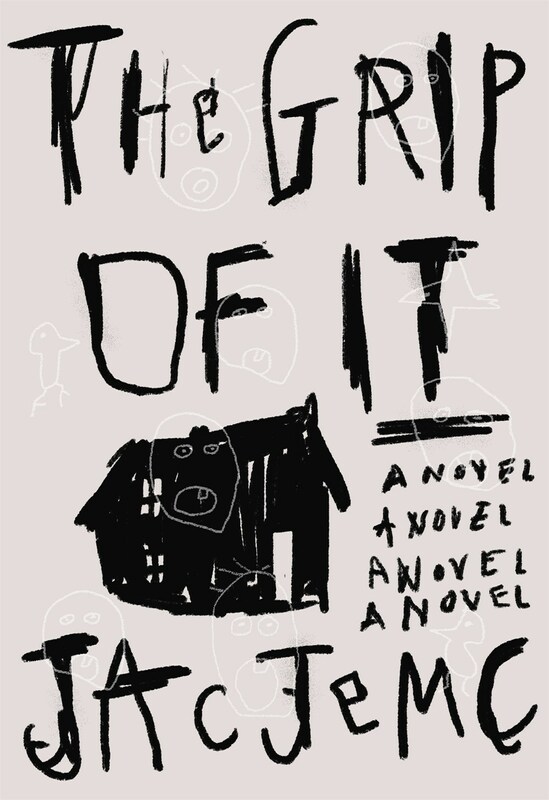 Jac Jemc’s haunted house novel The Grip of It is a wickedly fun exploitation of these common adulthood anxieties. Julie and James finally decide to leave the city and buy a creaky old house in the country to get away from it all. Their town is one where everybody knows everybody, and it seems everyone they meet knows something about the house they just recently started calling home. Something happened there a few generations ago (which was probably why they got such a good price on it from the bank). But the locals’ stories just reinforce what they’ve already started to suspect. They hear an otherworldly humming that surely can’t be the house settling, despite how many times they try to convince themselves it is. Shadows appear under doors that betray the logic of light sources, and they discover hidden areas and crawl spaces that don’t architecturally seem to make sense. Drawings appear on their walls and, as if in turn, purplish bruises appear all over Julie’s body. Both characters investigate the house’s anomalies independently and only occasionally do they cross-check their stories. The mysteries confound them and make them feel crazy, but when faced with the pressures of communicating to their spouse both James and Julie bottle up. “Did I tell him about this already?” Julie wonders. “If not, I worry he’ll think I’ve been keeping secrets. And then, because I don’t want to keep secrets, I keep more secrets.” The frights of their home are metastasized by James and Julie’s failure to communicate. “James and I are living in a Latin mass, memorizing ritual, reciting mysteries we’ve given up on deciphering, foreign syllables unrolling in order.” They grow more paranoid of their surroundings and each other until psycho-analytically, it may be too late. Jemc excels in her paranoic pace. James and Julie alternate as narrator, which is a sly trick to not only keep her readers on unstable footing but to experience her characters’ anxieties. James will narrate a section worrying about what people think of him, and then Julie will provide that outside perspective in the subsequent chapter (and vice versa). It’s the narrative equivalent of watching a video of yourself not knowing you were being filmed. Further, these chapters are often very short — sometimes no longer than half a page — and lend a fevered momentum to an already sickly tale. The last hundred pages of The Grip of It get really crazy, with lyrical and unhinged monologues of raw madness. But many scenes seem to unfold entirely in James’ and Julie’s imaginations, which is ultimately unfortunate: it can feel trying to explore the spookiness of The Grip of It without any tangible handle. The overarching, metaphorical fear of commitment is conveyed throughout the book with the eeriest grace, but the novel loosens up when it should ultimately tighten. 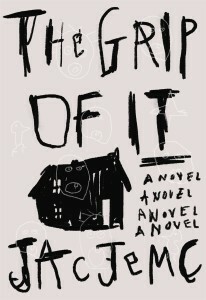 Still, Jemc has crafted a unique new spin on a horror story staple, about how the “perils of being a homeowner” might not be about where home is but who is living inside.